ActivityBreaks.com offer ski breaks to suit all tastes and needs. We have small resorts, large resorts, party resorts, quiet resorts, tricky resorts and family friendly resorts. We also have a variety of destinations as we aim to provide choice to our customers. So what makes each country so different? Skiing in Italy is a great choice for those looking for a laid back, family friendly atmosphere, excellent food and good value. Pistes are generally wide and not too challenging, great for beginners and intermediates, and lift queues are rare outside of high season and weekends. Mountain restaurants cost less here than in France, Austria and Switzerland and the food is much better than anywhere else in the Alps! From filling local pasta specialities, to wood fired pizzas there is something for everyone and children are made welcome everywhere. Most of our Italian ski holidays are located close to the low cost airports of Milan Bergamo and Venice Treviso, Beginners will love Montecampione, Aprica and Passo Tonale, while more experience skiers will enjoy Bormio, Livigno and Madonna di Campiglio, as well as Monterosa. Those looking for a quick getaway can head to Maniva, Tarvisio, Montecampione or Presolana, all less than an hour from the nearest airport. Ski pass and hire are included with most breaks; transfers are extra unless otherwise stated. France remains the most popular choice for alpine ski breaks thanks to its huge ski areas, doorstep skiing and high, snow sure resorts that are conveniently close to the airports of Geneva, Chambery and Grenoble. Though resorts are often purpose built and lacking the character and charm of their Italian and Austrian cousins, the vast main ski areas offer hundreds of kilometres of linked runs and fast lift systems ideal for those who hate to ski the same run twice. We offer a select choice of French ski accommodation, from great value self-catering apartments in Chatel on the Swiss border, to luxury catered chalets in La Plagne and Verchaix - part of the Grand Massif ski area. We have fantastic accommodation in the beautiful ski resort of Valmorel that will have you enamoured by its quaint, French charm. Austria remains a firm favourite with skiers all over Europe, and for good reason! Skiing is the national sport and this is reflected in its excellent ski areas, with state of the art lift systems and well-groomed slopes. Resorts are often centred around charming villages and the welcoming hospitality of the locals will make you feel at home. Après ski is also something of an unofficial national sport here, and there are lots of lively bars on the slopes and off. Our Austrian ski breaks are in great locations, including Flachau in the vast Ski Amadé area, and Dachstein West, both around an hours’ drive from Salzburg. Fit in a visit to this enchanting city during your stay, or stay in the city itself and commute to the slopes with our Salzburg ski package. Slovenia offers great snow conditions despite the low altitude of its slopes compared to its Western European neighbours. Its small but scenic ski areas offer great value and friendly service, as well as a surprising variety of slopes just half an hour from Ljubljana airport, making it a great destination for a short ski break. Our short ski holidays in Slovenia give you the opportunity to ski a number of different ski resorts in one holiday. You can ski the resorts of Bled, Vogel, Kobla, Krajska Gora and Soriska Planina In the Julian Alps. The Bohinj ski area is highly rated by snowboarders and skiers alike as it provides plenty of areas for varied skill levels. Enjoy a warm welcome in Slovenia with our hosts Clive and Myrna at the Reka Hisa Ski Lodge, the ideal base for your ski break in Slovenia. Bulgaria has been a well-known destination for budget ski holidays for years, and this is very much still the case. With lots of investment in recent years many of the larger resorts have been updating their lift facilities and snow making, while prices remain low, making this destination great value for money. Going out here is also excellent value, with restaurants and bars on and off the mountain costing much less than their western European counterparts. 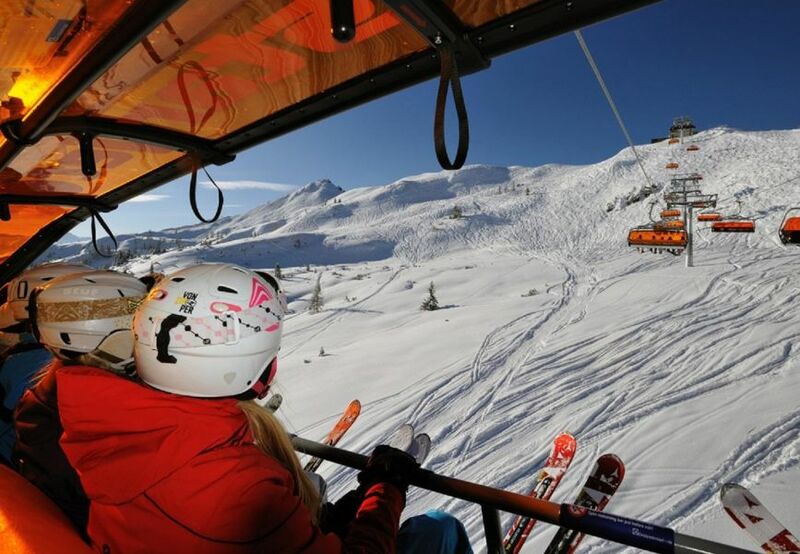 Our Bulgaria ski packages in Bansko and Borovets all offer ski pass and hire and most include transfers, for great value 4-7-night ski breaks. If you want to learn to ski, we have a fantastic flexible Bansko package that includes the option to book ski lessons at a great price.